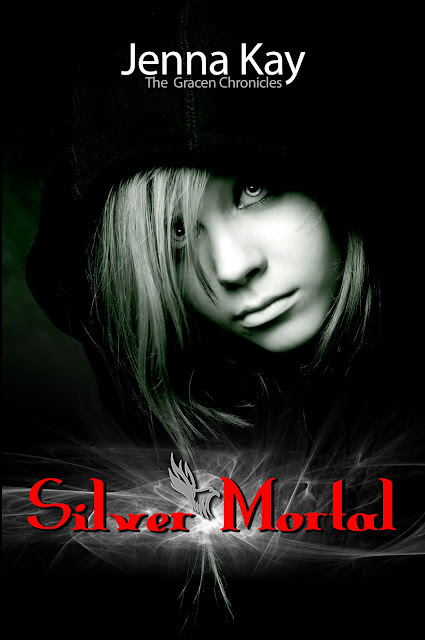 Silver Mortal NEW RELEASE by Jenna Kay!!!! As a Silver Mortal Gracen has the power to send these demons back to Hell. With the Silver Eagle's blood running through her veins she feels like nothing can take her down. That is, until she meets a group of Night Vipers who have escaped the Viper clan. My hands grip the bottom of my seat as I struggle to stay calm, the Silver Eagle waking within me. My enemy just walked in, anger and fear rising in my chest, though another feeling began rising above all the others. One I could not explain. One of my number one powers is the gift of discerning whether people are good or bad. This Viper in particular didn't make my stomach quiver with rage. Instead I feel this one will not harm the Untouched, which is extremely strange since we are sworn enemies. But that couldn't be right. How can I feel anything but hatred toward this foul human who has been touched by such wickedness? Keeping my eyes focused on him and only him, I watch as he walks up to the teacher's desk, flipping his dark shoulder-length hair out of his tanned face. He smiles, handing the teacher a piece of paper. Her eyes are wide as she takes in the new student, most likely wondering if he's eighteen yet. The two of them converse a moment before she turns to the rest of the class and smiles, her eyes a little glazed over. A few mumbled hellos resound through the classroom. The Viper—Phoenix—smiles, his teeth bright white against his sun-kissed complexion. No one can see the coiled black viper just underneath his skin, located on his right cheek. No one but yours truly. Giggles from across the room erupt from a small group of cheerleaders, all gazing at him with flirtatious expressions scribbled on their faces. I can't stop the roll of my eyes, the nauseating scene making me want to hurl. Sure this Phoenix guy is cute, but he's not what the high school girls called “all that”. He's tall, about six feet, toned, and his hair is dark brown and straight, falling just above his shoulders. His black t-shirt and jeans fit him to a perfect tee and...alright, I'll say it. This guy is gorgeous will a capital G. But seeing what others don't and knowing he's potentially the most dangerous person in school (besides me) makes me cringe with discomfort. Also seeing immature girls fawn all over him meant my job was about to get much harder. Great. Just great. Because I'm an outcast and people are turned off by my less-than-lovable personality, of course there's a couple of empty desks next to mine. Not only is my enemy in my class, but he's also going to sit right next to me. “Yes ma'am,” he replies, and I nearly lose my breakfast when the same girls giggle some more. I'm sure they're reacting this way because of his deep, silky voice. Even the teacher is spellbound by his presence. I watch...no, everyone watches as he glides smoothly down the aisle and settles in the desk to the left of mine. As he sits the desk makes a creaking sound, then he lets out a sigh. I shoot daggers at him through my eyes, hoping my glare looks as menacing as I feel. Evidently it's not. He smiles at me, showing off his perfect teeth. Hurriedly I turn away, but before I do I see how dark his eyes are, as dark as black ink. For a moment I think about how good looking he is. But only for a moment. The black viper sitting beneath his skin helps to keep my guard up, reminding me that no matter how innocent he may seem on the outside, the inside holds a monster eager to steal human souls for the dark side. I still felt disturbed, and this is the reason: He was here, in my presence, my silver eagle blood burning and anticipating a fight, yet something is different. He's different. Out of all the other Vipers I've come in contact with, this one seemed not to be a threat. Most Vipers I've encountered in the past have had evil rolling off of them in tidal waves, but Phoenix's feelings seem more docile. Sitting in my desk, just inches away, all I can feel rolling off of him is peace, sadness, and loneliness, which are three emotions I would never match up to a Viper. It strikes me as strange; it confuses the ever-loving crap out of me. Until I figured all this mess out I'd have to really pay attention to this guy, and also find out if he's connected to the blond Viper that knows my name. The teacher is in the middle of a coffee-driven lecture when Phoenix grabs my attention. “Psst! Hey, you got a pen I can borrow?” he whispers. “A pen,” he replies, gesturing with his hand. “Unbelievable,” I mutter under my breath. I pull a pen out of my book bag and start to hand it over when I “accidentally” drop it on the floor. As he leans down to retrieve it I mimic his moves, getting right in his face. His hand touches the pen just as my hand smacks down on top of his. Time to lay down the law...my way. Again we stare at each other, my hand still baring down on his. I shoot him a funny look, tilting my head to the side. He smirks. “All the power in the world and you're afraid to ditch class? You mean underneath that hard, tough exterior is a weak little girl?” His remark hits a nerve, so I pinch his hand, causing him to yelp like a puppy. 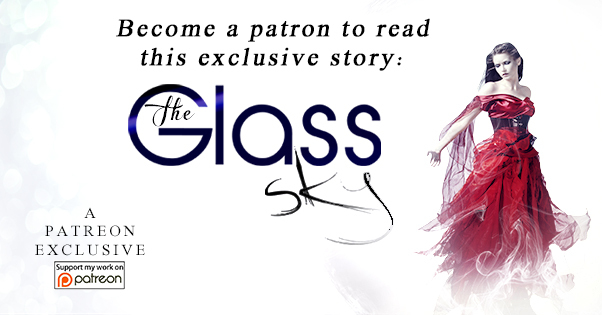 Quickly we sit straight up in our seats, pitching our gazes forward. My face burns with coarse abashment when the whole class turns around and stares at us. I try to speak but my mouth is suddenly bone dry. “Everything's fine,” Phoenix answers for the both of us. His short reply pleases her, so she continues on with her lecture. Thankfully the rest of the class turns their attentions back to the front, with the exception of a couple of girls giving me go to hell looks. “Good,” he says, adding, “We've got a lot to discuss, Gracen Potts.” I shake my head, gearing my attention back to the rambling teacher. How did he know my name? “Un-freaking-believable,” I mumble, and when he laughs lightly my blood runs hot. Jenna Kay has always had a vivid imagination. At the age of thirty she decided it was time to put her imagination to work. Growing up with three older brothers made her strong and one tough cookie. She was blessed with two loving parents, both that encouraged her to follow her dreams and always made sure that she was in Church. Her mama is her biggest fan. She graduated from high school in Georgia, where she played varsity basketball. Later, she obtained a cosmetology license from the State of Georgia and practiced cosmetology for 8 years before becoming a full time mother and author. 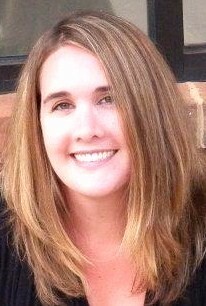 Her works include Mark of the Seer, Broken (The Seer Society Series), Silver Mortal (The Gracen Chronicles), and Beyond the Never Anthology.